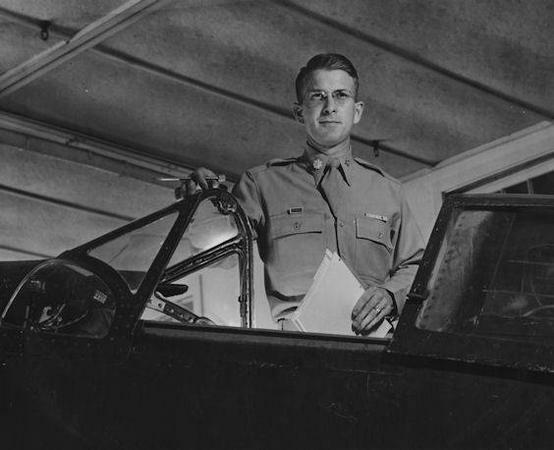 SALT LAKE CITY — The little-known story of a Utah man who oversaw a secret World War II mission to reconstruct and test Japanese aircraft has a prominent place in a new heritage site in Australia. Clyde D. Gessel oversaw the rebuilding of Japanese Zeros at Eagle Farm airfield near Brisbane. The operation, authorized by Gen. Douglas McArthur, played an important role in history and possibly changed the course of the war in the Pacific. Linda Grow and her husband, Robert, were in Brisbane on Thursday to share part of her father's remarkable military service at the dedication of an interpretive center at Eagle Farm. Grow spent the past five years supporting creation of the heritage site, which includes an 1800s women's prison, a testing and maintenance area for Allied aircraft engines, and the hangar where Gessel worked. "Hangar 7 is a tangible symbol of what men from our nations accomplished together in those dark days with courage, devotion and hard work to preserve the freedom we cherish," according to remarks Grow prepared for the event. "I hope Hangar 7 will stand forever in remembrance of our shared heritage and the enduring bonds of friendship between our two nations." While Gessel's story is known Down Under — a street in Eagle Farm is named Clyde Gessel Place — it hasn't been told in his home state. Gessel died in 2007. Gessel was a young first lieutenant and civil engineer in the Army Air Corps from the small northern Utah town of Providence when he received orders in early 1943 to salvage parts from downed Japanese Zeros and reconstruct them to be tested against Allied fighters. In early combat, the plane gained legendary status as a dogfighter, with a kill ratio of 12 to 1. It became less effective as the war went on. Gessel's crew of Americans and Australians recovered Japanese airplane parts and equipment in New Guinea and loaded them on a ship for Brisbane. In his history, Gessel described life in New Guinea as a "different type of existence." "We ate and worked in large grass shack that the natives had built for us. We slept in tents, always under carefully arranged mosquito nets. The mosquitoes at night were numerous and bloodthirsty. We also had slit trenches for air raid protection," he wrote. In Brisbane, the crew worked 12 hours a day, seven days a week for six months to assemble the Japanese plane and test it on July 20, 1943. They called the hangar the Air Intelligence Technical Unit. "I was not an aeronautical engineer so we just used good common sense in trying to make the airframes stronger than the original structure," Gessel wrote in his history. "After getting one Japanese Zero completely airworthy, we flew it against our own planes in all sorts of tactical manuevers." 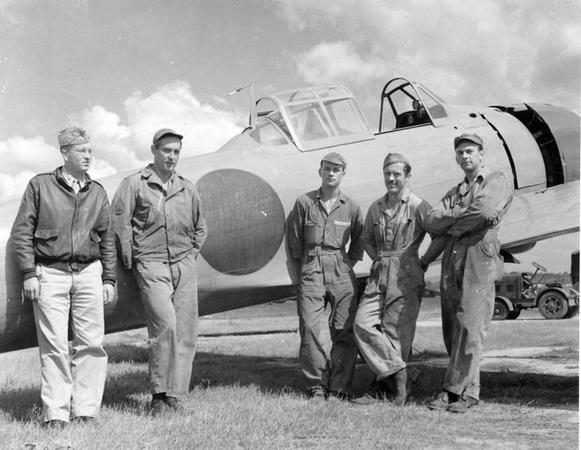 On Aug. 10 1943, he wrote in his journal, "We have flown the (Japanese) airplane six flights. Quite a feat after putting together a mass of shot up junk." As a result of the operation, Allied planes were told to avoid dogfighting with the lighter more agile Zeros and use tactics to improve their defenses against the Japanese fighters. Gessel's crew also identified production rates, manufacturing sites and supply lines from the engine parts, allowing Allied bombers to hit specific targets in Japan. Their work also led to improved designs for Allied fighter planes. Grow said her father and his crew worked with a sense of urgency to provide information that would save Allied lives and possibly bring an earlier end to the war. 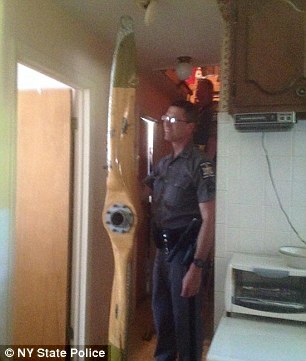 HAGAMAN - State Police say a pilot suffered some mechanical issue after losing the plane's propeller over Montgomery County. Police tell CBS6 that at around 2:00 PM they received reports of a small airplane that was having engine trouble. State Police also say that the pilot was in the process of reporting the incident after experiencing a mechanical issue and was able to glide back into the airport. 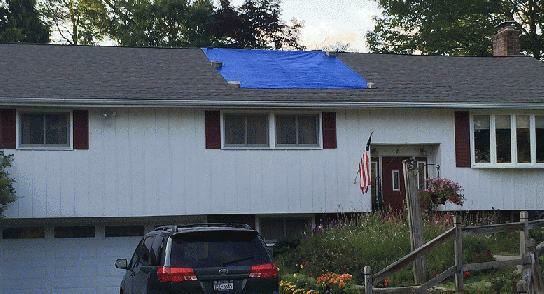 A woman on Green Acres Lane in the Village of Hagaman reported that some debris has struck her roof. 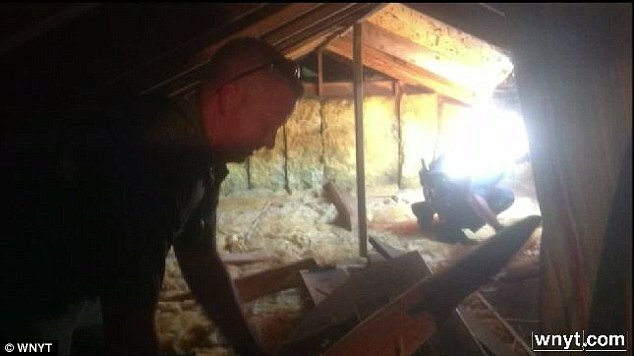 It was discovered that a propeller went through the roof of her home and into her attic. State Police say there were no injuries and that the Federal Aviation Administration was contacted for an investigation. The pilot stated that while en route to his destination he became unsure about his position. He saw an airport and decided to land and reorient himself. During the landing the airplane touched down long and he could not stop the airplane, using full braking, before it departed the end of the runway and collided with trees. The wings were substantially damaged. The pilot reported no preimpact mechanical malfunctions or failures with the airplane that would have precluded normal operation. LAURIER — A Canadian man was injured yesterday afternoon after his plane crashed south of the international border in Ferry County. The crash occurred around 1:30 p.m. Wednesday, a spokesman from the Ferry County Sherriff’s Office said. According to officials, the pilot took off from Nelson, B.C., en route to Vancouver, B.C., when the he experienced engine problems and attempted to land, but overshot the runway. The pilot’s name was not immediately available. The crash victim was transported to a Canadian hospital. The Sheriff’s Office could not confirm the extent of his injuries. The Sheriff's Office and Joint Fire Protection District Ferry County No. 3 and Stevens County No. 8 responded to the scene. The plane crash is the fourth in nine days in the region. On July 11, two planes went down in the North Cascades, in unrelated incidents, killing four people. 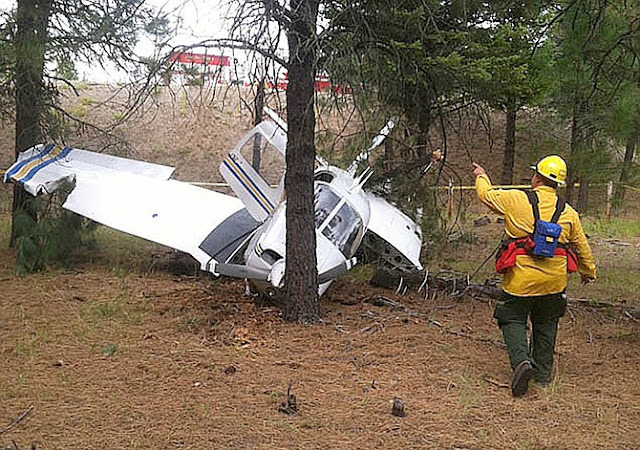 Another plane went down July 7 in the Osoyoos, B.C., area, injuring the pilot. Authorities on Wednesday were busy recovering the bodies from the first two crashes. In the first crash, a plane flying from Kalispell, Mont., to Lynden, Wash., went down in the North Cascade Mountains, killing the pilot and his wife, Leland Bowman, 62, and Sharon, 63, both of Marion, Mont. The couples' 16-year-old step-granddaughter Autumn Veatch of Bellingham, survived the crash and walked for two days, before being found about 3 p.m. Monday near the Easy Pass Trailhead, west of Mazama along state Highway 20. She has since been treated at Three Rivers Hospital in Brewster and released. In the second Saturday crash, a Minnesota couple's plane went down in a remote area of Whatcom County about 10 miles east of Acme. The couple was flying to Orcas Island, aviation officials said. The crash site was located yesterday and search crews were attempting to recover the bodies. Information on the couple was not available. In the July 7 crash, a 45-year-old pilot from Osoyoos was injured when his plane lost power and went down on Canadian Highway 97. His name was not released. Royal Canadian Mounted Police Cpl. Jason Bayda said the pilot tried to land on the highway but hit a tractor-trailer and slammed into a power pole. The plane burst into flames on the edge of the roadway and the pilot sustained second- and third-degree burns over most of his body. A cluster of laser beam strikes on commercial airplanes over New Jersey Wednesday pushed the total number of attacks over the U.S. to more than twice the daily average. Pilots of 35 flights -- including a U.S. Coast Guard plane over Ocean City -- reported incidents, according to a Federal Aviation Administration statement Thursday. Eleven occurred on flights headed for Newark Liberty International Airport or LaGuardia, two of New York’s busiest, from 9 p.m. to 10:30 p.m., according to an e-mail from the FAA. The attacks occurred in a range of locations suggesting more than one person was involved. Laser strikes on planes and helicopters have surged more than 10-fold in less than a decade, reaching 2,751 cases this year through July 3, according to FAA data. Last year, the FAA reported 3,894 cases. Incidents tend to occur as crews prepare to land, which is one of the busiest and most critical times during a flight, Cox said in an interview. So far this year, airplanes are being struck by lasers about 15 times a day, less than half of Wednesday’s total. The FBI’s Newark office has opened an investigation of the cases near Newark, Special Agent Celeste Danzi said. Intentionally shining a laser at an aircraft is a federal offense punishable by as much as five years in prison, Danzi said. Elsewhere in the U.S., cases occurred near cities in 10 states from Daytona Beach, Florida, to Oakland, California, the FAA said. Lasers, from high-powered industrial models to devices used as toys, can temporarily blind pilots and damage the eye, according to government research. Some powerful models are available for less than $100 online. The FAA and FBI have been trying to ramp up enforcement efforts. The FBI last year began offering as much as $10,000 for information leading to the arrest of people involved. American Airlines Group Inc., United Continental Holdings Inc., Delta Air Lines Inc. and Republic Airways Holdings Inc. were among carriers involved in the New Jersey incidents, according to the FAA. Delta Flight 504 from Atlanta to Newark landed normally after the Boeing Co. 717-200’s cockpit was illuminated by a laser beam, spokesman Morgan Durrant said in an e-mail. “Delta will do everything to assist with the investigation and including the apprehension of perpetrators by law enforcement,” Durrant said. American Airlines Flight 966 from Miami to Newark, a Boeing 737-800, was struck while flying at 3,000 feet (914 meters) about 15 miles south of the airport, according to FAA. American spokesman Ross Feinstein and United spokeswoman Mary Clark in e-mails referred inquiries to the FAA. Phone or e-mail messages seeking comment from the other U.S. airlines weren’t returned. All but one of the New Jersey strikes were made with a green laser, according to the FAA’s statement. Crews from different flights reported lights from either the left or right sides of their aircraft. Jeff Boerboon, the pilot of the Jack Link's Screamin' Sasquatch. The “Screamin’ Sasquatch” jet-powered Waco from John Klatt Airshows is all set to make its Experimental Aircraft Association (EAA) AirVenture Oshkosh debut with pilot Jeff Boerboon, a current member of the U.S. Unlimited Aerobatic Team, taking the reins. According to Boerboon, the airplane weighs in at about 4,000 pounds, and its twin-engine configuration provides a more than one-to-one thrust-weight ratio (4,500 pounds of thrust). Boerboon plans to successfully tame the Screamin’ Sasquatch, a highly modified 1929 Waco Taperwing, for several of the daily air shows July 20-26, but it certainly won’t be his first visit to EAA AirVenture. While Boerboon resides in Phoenix, he grew up in Minneapolis, which was just close enough to Oshkosh to regularly attend the annual EAA event with his family. In fact, it was both the show and his commercial pilot father who sparked his interest in aviation at only 6 years old. Boerboon’s childhood infatuation with aviation and aerobatics made it an easy choice for him to enroll in the aviation program at the University of North Dakota, where he first started flying. A few years after graduation, he started flying competition aerobatics in the early 2000s. 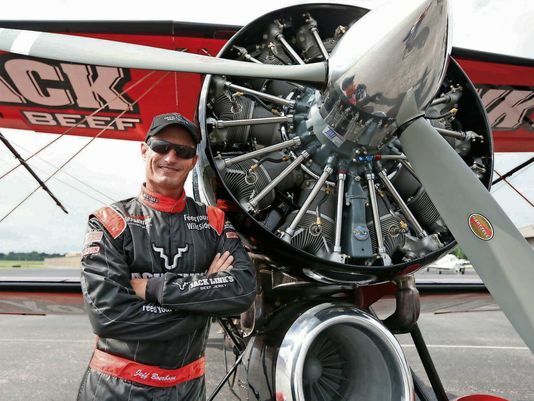 It did not take long for him to qualify as a member of the U.S. Advanced Aerobatic Team, where he remained from 2003 to 2008, securing his title as a two-time Advanced National Champion. Boerboon qualified for the U.S. Unlimited Aerobatic Team in 2008 and won the U.S. national unlimited title in 2010. “After EAA, I’m leaving with the U.S. Unlimited Aerobatic Team for France to compete in the World Aerobatic Championships,” Boerboon said. According to Boerboon, nine members are on the team with several flying in the Oshkosh show. Despite his busy schedule, Boerboon always looks forward to returning for the Oshkosh event, having attended 28 EAA Oshkosh conventions. Large chunks of earth and rock break away from the hillside of the Yeager Airport runway expansion, enlarging the scope of the hill’s previous slide back in March. 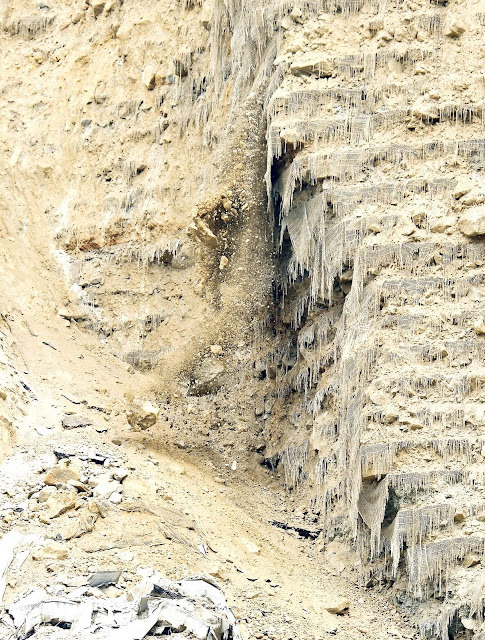 The landslide at the end of Yeager Airport’s main runway slipped again Wednesday, following more than a half-month of daily rainfall. Airport spokesman Mike Plante said a portion at the top of the slide fell about 20 feet — the first significant movement in months. “At 10:45 a.m., we observed the top scarp fell 15 to 20 feet ... We want to stress this was not the runway. It’s the end of the runway safety area. 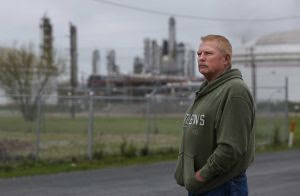 The runway is much farther back,” Plante said. 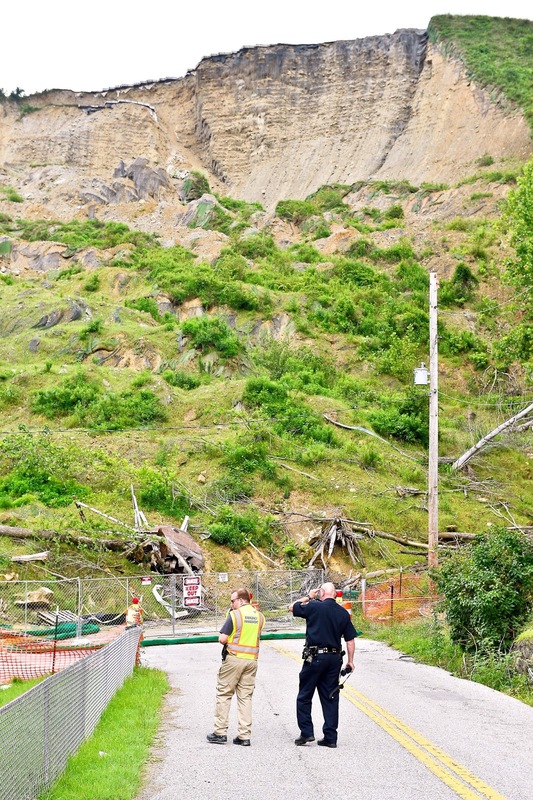 Wednesday afternoon, airport officials blocked off the end of Keystone Drive to keep people from getting too close to the landslide. Plante said they would stay there until the movement had stabilized. Airport and Kanawha County officials will continue monitoring the area for further movement. 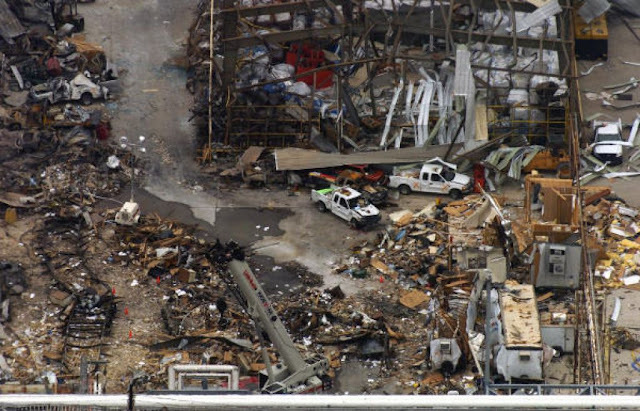 The original collapse happened March 12 after cracks in the surface of the airport’s Engineered Material Arresting System, or EMAS, were discovered earlier that week. The EMAS is on a man-made extension of the hill on which the runway sits, and the airport’s operations have not been affected by the slide. Plante said as of noon, no structures are threatened and there was no indication the slide would cause blockage of Elk Twomile Creek. He said Rodney Loftis & Sons were staging equipment on the Barlow Drive side of the hill to monitor the slide, to make sure it doesn’t move into Twomile Creek. Monitoring to make sure the creek isn’t blocked will be officials’ biggest concern, he said. Yeager Airport officials assess damage to the hillside area comprising the airport’s runway extension Wednesday. In March a significant portion of the extension was affected by a landslide of major proportions. 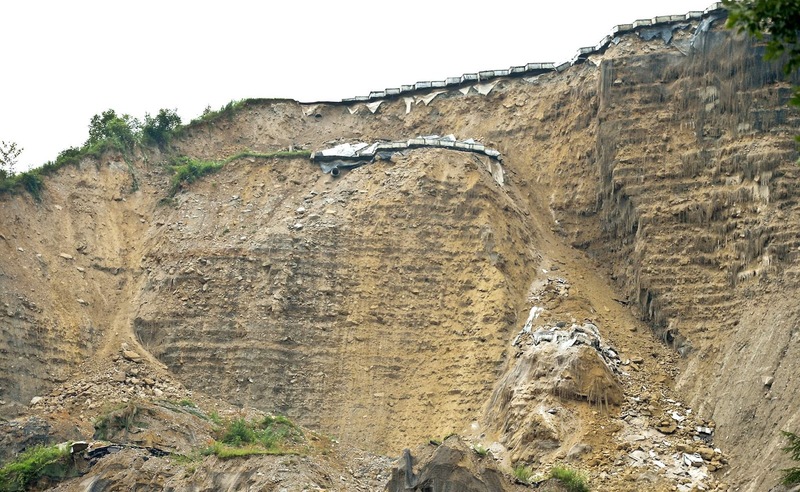 Heavy rains throughout the area lately have caused the exposed area of the slide to become unstable, causing further erosion and an enlargement of the area affected by the original slide. NEW DELHI: Dr Manmohan Singh, the former Prime Minister, was among the passengers on board a Boeing Dreamliner that flew from Amritsar to Delhi without retracting its wheels. On July 12, a technical snag on the plane on did not allow the pilot to retract the rear wheels after being airborne. Such a condition does not allow the commander of a flight to fly at an altitude higher than 20,000 feet, or else the cabin pressure gets affected, causing uneasiness and discomfort to passengers and cabin crew. The commander of the Air India flight however continued with the flight and landed in Delhi safely. "Ideally, when you experience a snag like this, you return to the home base. But always, the captain who is operating the flight is the best judge of the situation," said a former Air India senior commander, who now flies with a private airline. Sources say the pilot decided to continue to Delhi since it was a short flight and there were no serious safety issues. An Air India statement said the, "All actions were well with in approved parameters... and aircraft landed safely without any problem in Delhi." The Federal Aviation Administration's Joseph Teixeira has resigned according to a letter obtained by FOX Business Network. As Vice President, Safety and Technical Training Air Traffic Organization, Teixeria has come under scrutiny following a FOX Business Investigation into the hiring practices of the FAA, Trouble in the Skies. I am writing to announce that I have applied to retire from Federal Government Service on August 30. How could I forget? I walked through the doors of 10A in early 1990 and in the past 25 years have been given opportunities I could not have imagined on that day. I have served at home and abroad; worked in ASH, API, AVS and ATO; been the FAA ambassador in Southern and Northern Europe and on many occasions at ICAO; and been given leadership positions that helped improve our aviation safety and security systems. The last 10 years in air traffic have, by far, been the most rewarding because I have had the opportunity to work with an amazingly talented and hard working group of professionals that operate the largest, most efficient, most diverse and safest airspace system in the world; and yes, I can confidently say that today - because we have the data to prove it. In these last ten years, together, we transformed the way in which we value our front line employees and manage safety and technical training. It is an honor and a privilege to have worked with so many of you who made that transformation possible. Special thanks to the leadership in ATO and NATCA who never waivered in their support to Safety and Technical Training. I plan to continue making contributions to aviation safety and to put to use the great lessons and skills I learned from all of you. Thank you. UPDATE: One day following the resignation a spokesperson for Rep. Randy Hultgren issued the following statement to FOX Business. "The resignation of the FAA's Vice President of Safety and Technical Training is only the latest in a line of FAA employees who have left the agency under a cloud of alleged cheating surrounding the tainted BQ test. Yet the FAA has remained disturbingly quiet on employee conduct, providing little detail on internal investigations. Only a congressional hearing will force the FAA to answer publicly for their actions-it's time to bring FAA officials before the American people." Adam Shapiro joined FOX Business Network (FBN) in September 2007 as a New York based reporter. Free-market research and advocacy group the Competitive Enterprise Institute (CEI) (disclosure: I held a one year fellowship with CEI in 1999-2000), along with the National Center for Transgender Equality, The Rutherford Institute and CEI's President Lawson Bader and Marc Scribner, a fellow in CEI's Center for Technology and Innovation as private individuals), this week filed a lawsuit in the U.S. District Court of Appeals for the D.C. Circuit, challenging the Transportation Security Administration's use of "advanced imaging technology" full body scanners, on administrative grounds. requests the court enforce its July 15, 2011, decision that found the TSA’s deployment of body scanners in violation of the Administrative Procedure Act. The 2011 court ordered the TSA to “promptly” open a rulemaking proceeding and produce a final rule. Today is the four-year anniversary of the court order and we still do not have a final rule to evaluate and potentially challenge. In fact, given that TSA has been rolling out body scanners since 2007, they have been violating the APA for eight years. The farming industry relies on crop dusting planes each growing season to spray chemicals to keep their crops healthy. 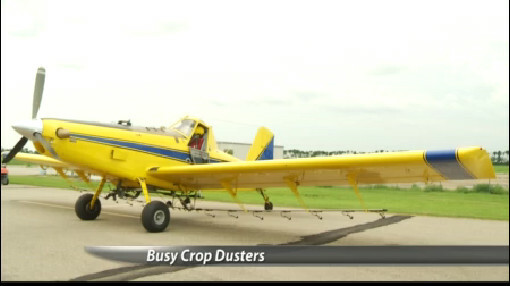 Crop dusting planes spray fungicide that could save a farmer's crops, and they are staying busy. "This summer has been probably the busiest year up to this date that I've had in 24, 25 years," said Farrel Helm, owner of Helm Flying Services. Disease can be crippling to a farmer's fields and the airplane is the easiest way to get the fungicide on them. "A lot of farmers don't like to go out and drive down their grain anymore at this stage, because where they drive it's done, it's ruined. So the airplane comes into play there and then we can get across a lot of acres real quick," Helm said. The plane hovers just 10 feet above the crops and it's a real science to get the right coverage on the crops. "Years ago the old saying was if you didn't come back with some of the crop on your landing gear you weren't low enough, but we're finding now days that they want us up a little higher, we do a better job it gives the pattern a little time to spread out before it settles down. If we get too low we can start streaking," Helm said. Helm is able to stay so busy because the way the business is structured is changing. Now he deals with one agronomist that is working with farmers all over the region. "Which makes it possible for me to move off 100 miles and start spraying because I'm just dealing with the one agronomist and he's dealing with the farmers," Helm said. Crop dusting is an expense more and more farmers are budgeting for because it keeps them from being discounted come harvest time. Philippine Airlines pilot Capt. Marie Geraldine Gamallo, 31, is one of the 25 Filipinas in the country who are certified for transcontinental jets, like the Airbus 330 and 340, although their number is quickly increasing. Female pilots are rapidly increasing and earning their seats in the cockpit in the male-dominated airline industry with Civil Aviation Authority of the Philippines records showing that there are now 25 certified woman pilots operating planes across the country in the first quarter of 2015. The first to earn that distinction in the Philippines is Capt. Aimee Carandang, the country’s first female commercial pilot who became the first full-fledged captain of Philippine Airlines in 1993, CAAP said. The demand for pilots around the world has continuously increasing through the years and the needs are felt even in the country. For those who inspire to become a pilot will face many risks and is therefore rewarded for its prestige for taking command in the cockpit and matched with a promise of a good compensation. But CAAP Assistant Director General-Flight Standard Inspectorate Service (FSIS) Capt. Beda Badiola noted that while the number of Filipina pilots is steadily growing, it is still small “percentage-wise” with only only less than 2% of total pilots in the country. CAAP records show there are 2,605 commercial pilot license-holders, 91 helicopter pilots, 538 airline transport pilots, 66 multi-crew pilots, 46 private helicopter pilots, 2,769 private pilots, 4,074 student pilot license-holders and 68 student helicopter pilot license-grantees in the country. Badiola said even his daughter Ileen Badiola-Logos shifted careers and belatedly went on to become a pilot at 42. “My daughter is 42, married and with two kids, I asked her to learn how to fly. I persuaded her to change careers. She’s an AB Masscom graduate of Ateneo and a middle manager. Good thing is she adapted quickly,” he beamed. His daughter is now a licensed commercial pilot with instrument rating and on her final interview with a reputable airline operator. CHIPPEWA COUNTY — U.S. Senators Gary Peters and Debbie Stabenow announced this week that the EDC of Chippewa County will receive $71,250 for new snow removal equipment at Chippewa County International Airport at Kincheloe. The equipment will assist in the airport’s ability to clear the airfield during the winter. The funding comes from the Department of Transportation’s Federal Aviation Administration (FAA). The equipment will be purchased from O’Connor’s Chrysler Jeep Dodge Ram in Pickford. Last summer $3.3 million dollars in federal funds were used to repave the 7,200 foot main runway, with Payne and Dolan the primary contractor. This summer Roy Electric was the prime contractor for a 1.5 million dollar lighting project, which installed new runway lights and made major improvements to wiring and navigational systems. In both major projects, other area contractors and vendors benefiting as well. All FAA grants to Chippewa County International are supported by state matching funds and local matching funds provided by Chippewa County and the Chippewa County EDC. Acting on numerous complaints by her constituents regarding an increase in aircraft noise, Rep. Anna Eshoo has assembled a survey for residents, which she plans to take to the Federal Aviation Administration (FAA) for possible changes to flight altitudes. Residents in Palo Alto and other nearby cities say the noise level and airplane frequency have increased since the FAA rolled out its new NextGen flight system, which requires aircraft to travel within a narrower corridor to free up airspace for commercial and military drones. The FAA was required by U.S. Congress to devise the plan. But throughout the country wherever NextGen has been implemented, residents are complaining that the noise and frequency of flights is deafening. Pilots have to descend using a continuous decrease in altitude rather than following a stepped descent, as previously done -- but that increases noise as engines throttle for the decline, residents say. NextGen completed its rollout at San Francisco International Airport this spring, and Palo Alto residents reside under three flight paths that extend like superhighways over their neighborhoods. Eshoo said she met with FAA Administrator Michael Huerta in May regarding the troubling increase in noise across her district, including communities in San Mateo, Santa Clara and Santa Cruz counties. "I raised the concerns of the many constituents I've met with in my Palo Alto office with the administrator, and he agreed to reexamine flight altitudes passing over our region," she wrote in a letter to constituents. "He also agreed to have the FAA regional administrator hold a meeting with select community representatives in the near future. If we can bring the testimony of the people of the 18th Congressional District affected by this problem to the FAA, it will help demonstrate how urgent it is for the agency to address them. "I ask you to please respond to the survey and consider passing it along to others in your community. Your concerns must be heard by the FAA in order for them to make the necessary changes to bring relief to my constituents." Eshoo also encouraged residents to report any excessive aircraft noise to the SFO Noise Abatement Office. "This is very important. Your call will become part of the official record and official documentation," she added. The Noise Abatement Office can be reached at 650-821-4736 or by email at sfo.noise@flysfo.com. The survey can be taken here. The noninstrument-rated private pilot was making a cross-country flight over mountainous terrain. Radar data showed the airplane flying in a northwesterly direction and climbing to an altitude of about 10,500 ft mean sea level (msl). 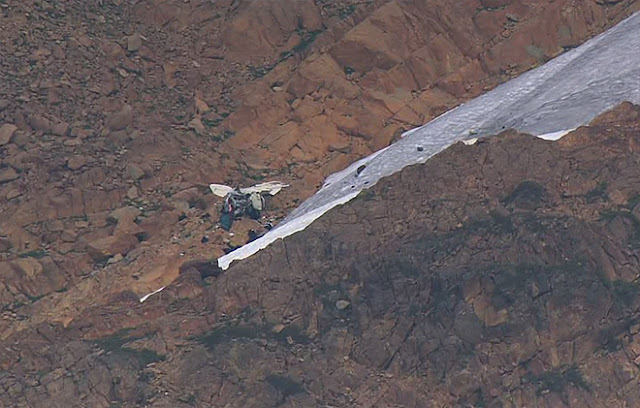 About 38 minutes into the flight, the airplane's altitude started to decrease as it continued in a northwesterly direction, and, 6 minutes later, its altitude was 7,500 ft msl. The last radar return occurred 1 minute later at an altitude of 6,000 ft msl. The wreckage was located at the 6,000-ft level of a mountain ridgeline in the vicinity of the final radar return. Photographs of the wreckage revealed that the damage to the airplane was consistent with controlled flight into the terrain. The wreckage was not recovered from the accident site, and no follow-up examination was accomplished. Weather radar imagery indicated that rain showers moved into the area from the south-southeast as the airplane approached the accident site. These showers extended from about 19,000 ft msl down to ground level. Although no direct weather observations of the accident location were available, the airplane's descent as it approached the site is consistent with an attempt by the pilot to maintain visual meteorological conditions while operating amidst rain and clouds that likely obscured the terrain. The noninstrument-rated pilot's continued visual flight into instrument meteorological conditions, which resulted in controlled flight into mountainous terrain. 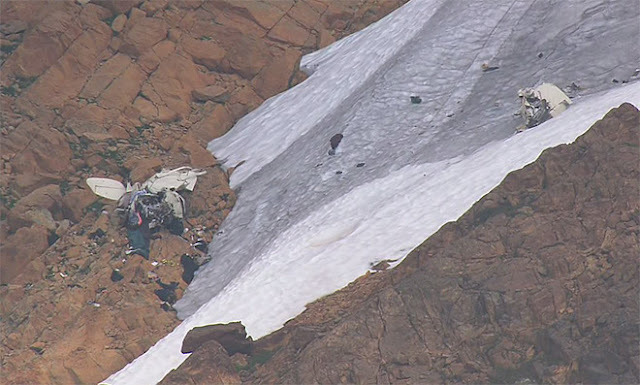 On July 11, 2015, about 0745 Pacific daylight time, a Piper PA-22-160, N9712D, was destroyed when it impacted the ridge of Twin Sisters Mountain, about 12 miles north of Hamilton, Washington. The airplane was registered to the private pilot who was operating the airplane under the provisions of 14 Code of Federal Regulations Part 91, as a visual flight rules flight. 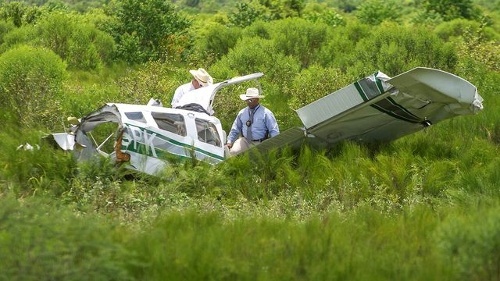 The pilot and single passenger were fatally injured. Visual meteorological conditions prevailed for the flight, and no flight plan had been filed. The flight originated from Stehekin, Washington, about 0700. The airplane was subject of an ALNOT (alert notification) missing aircraft issued on July 14. Initial radar data depicts an airplane track starting at 8,300 feet mean sea level (msl) 16 miles northwest of Stehekin, at 0718 on July 11. The track continues in a northwesterly direction at an altitude about 10,500 feet mean sea level (msl). At 0738, the airplane's track altitude starts to decrease; by 0744 the altitude was 7,500 feet, and continued in the northwesterly direction. The last radar return occurred at 0745, at an altitude of 6,000 feet msl. 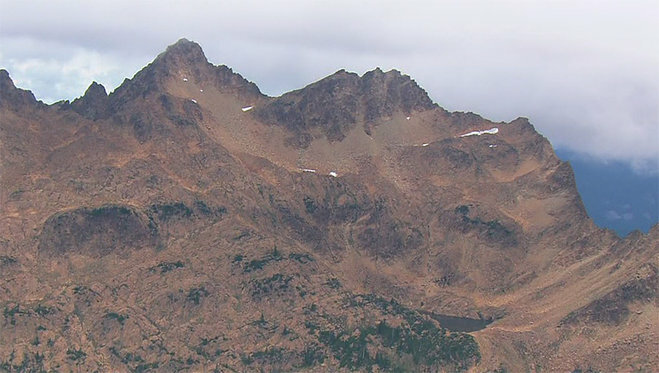 The wreckage was located on the morning of July 15, at the 6,000-foot level of the Twin Sisters Mountain ridge line in the vicinity of the final radar return data point. The pilot, age 62, held a private pilot certificate with a single-engine land rating, issued May 26, 2010, and a third-class airman medical certificate issued February 3, 2014, with the limitation that the holder shall possess glasses for near and intermediate vision. The pilot's log book was not recovered for examination. On the pilot's February 3, 2014, application for his medical certificate he reported 440 total flight hours, with 47 hours within the previous six months. The four-seat, high-wing, fixed-gear airplane, serial number 22-6624, was manufactured in 1959. It was powered by a Lycoming O-360 series normally aspirated engine. It was equipped with a fixed pitch propeller. Aircraft records were not located or obtained for examination. An Automated Weather Observing System (AWOS) was located at Skagit Regional Airport (BVS) in Burlington/Mount Vernon, Washington, which was located about 22 miles southwest of the accident location at an elevation of approximately 145 feet. At 0735, BVS reported a variable wind at 5 knots, visibility of 9 statute miles, ceiling broken at 4,200 feet above ground level (agl), overcast cloud base at 5,000 feet agl, temperature of 17° Celsius (C), a dew point temperature of 14°C, and an altimeter setting of 29.88 inches of mercury. WSR-88D Level-II weather radar base reflectivity imagery from Seattle/Tacoma, Washington (KATX), is located approximately 36 miles southwest of the accident site at an elevation of about 500 feet. Assuming standard refraction and considering the 0.95° beam width for the WSR-88D radar beam, the KATX 1.435° tilt would have "seen" altitudes between about 5,000 and 8,650 feet above msl at the accident location, the KATX 2.404° tilt would have "seen" altitudes between about 8,700 and 12,350 feet above msl at the accident location, the KATX 3.364° tilt would have "seen" altitudes between about 12,400 and 16,000 feet above msl at the accident location, and the KATX 4.292° tilt would have "seen" altitudes between about 15,900 and 19,500 feet above msl at the accident location. The KATX base reflectivity imagery identified light values of reflectivity coincident with the accident location at the accident time, in a pattern consistent with light rain showers being present above/at the accident site. A review of a loop of KATX base reflectivity imagery indicated that these reflectivity features were moving from the south/southeast. An Area Forecast that included the Cascade Mountains westward within the state of Washington was issued at 0345. The portion of the Area Forecast directed toward the Cascades forecasted for the accident time: broken clouds at 8,000 feet, cloud tops to FL200 (flight level 20,000 feet msl), scattered light rain showers, isolated thunderstorms and light rain, cumulonimbus cloud tops to FL350. An Airmen's Meteorological Information (AIRMET) advisory for mountain obscuration issued at 0745 PDT was active for the accident location. Prior to this AIRMET, an AIRMET for mountain obscuration was issued at 0145 PDT and was active for the accident location. 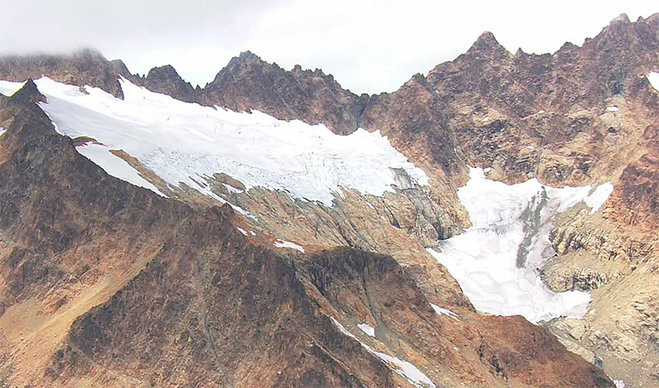 The wreckage was located near the summit of Twin Sisters Mountain at 6,000 ft mean sea level (msl). The Whatcom County Sheriff Search and Rescue team provided photos of the accident site and wreckage. The wreckage consisted of two distinct sections within close proximity of one another on the rock face of steep terrain. The area was void of vegetation. The first section contained the cockpit, fuselage, left wing and tail. The second portion of the wreckage consisted of the right wing. The engine had separated from the engine mount and was located in the debris field. The propeller had separated from the engine crankshaft flange, one blade had about 4 inches of the tip missing and the trailing edge was deformed in an elongated s-shape, the other blade was bent aft. 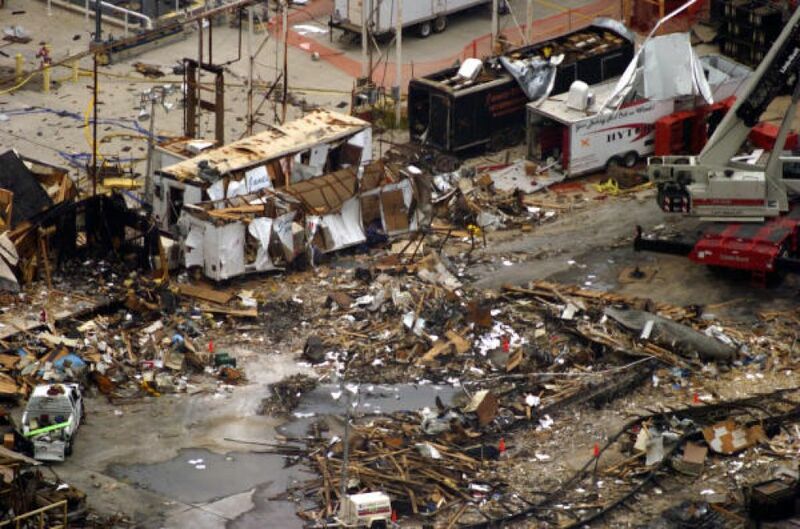 The wreckage was not recovered from the accident site and no follow-up examination was accomplished. An autopsy was performed on the pilot on July 17, 2015, by the Whatcom County Chief Medical Examiner, Bellingham, Washington. The cause of death was listed as multiple blunt trauma injuries. The FAA's Civil Aerospace Medical Institute (CAMI) Forensic Toxicology Research Team performed forensic toxicology on specimens from the pilot with negative results for ethanol or listed drugs. Tests for carbon monoxide and cyanide were not performed. On July 11, 2015, about 0745 Pacific daylight time, a Piper PA-22-160, N9712D, impacted the ridge of Twin Sisters Mountain, about 12 miles north of Hamilton, Washington. The airplane was registered to the private pilot who was operating the airplane under the provisions of 14 Code of Federal Regulations Part 91, as a visual flight rules flight. The pilot and single passenger were fatally injured. Visual meteorological conditions prevailed for the flight, and no flight plan had been filed. The flight originated from Stehekin, Washington, about 0700. The airplane was subject of a ALNOT (alert notification) of a missing aircraft issued on July 14. Initial radar data depicts an airplane track starting at 8,300 feet mean sea level (msl) 16 miles northwest of Stehekin, at 0718 on July 11. The track continues in a northwesterly direction at an altitude about 10, 500 feet mean sea level (msl). At 0738, the airplane's track altitude starts to decrease; by 0744 the altitude was 7,500 feet, and continued in the northwesterly direction. The last radar return occurred at 0745, at a altitude of 6,000 feet msl. OLYMPIA, Wash. - Searchers have located wreckage believed to be a single-engine plane that flew from Minnesota but failed to arrive on Orcas Island on Saturday. Officials say they have not made a positive identification of the plane or the occupants. It was located east of Bellingham. Transportation officials say the search has been turned over to the Whatcom County Sheriff's Office. The wreckage site was found using radar coordinates from the aircraft's last known location on Saturday. Authorities say the plane left International Falls, Minn. with two people aboard and was supposed to land on Orcas Island. A search was initiated to focus on Whatcom County, Washington. KBJR Television in Duluth reports that the plane, a 1959 Piper PA-22-160, a fixed wing single engine four-seater, is registered to Bob Nevalainen of Ray, Minnesota. He and his wife Gail were expected to make several stops on their trip to Alaska. Their last known stop was in Yakima, WA. "It's weighing heavy on our minds," Phil Hart, who is the proprietor of the Gateway General Store, said on the phone. "We're praying they are alive and safe." Family of the missing occupants notified officials of the missing plane Tuesday night. 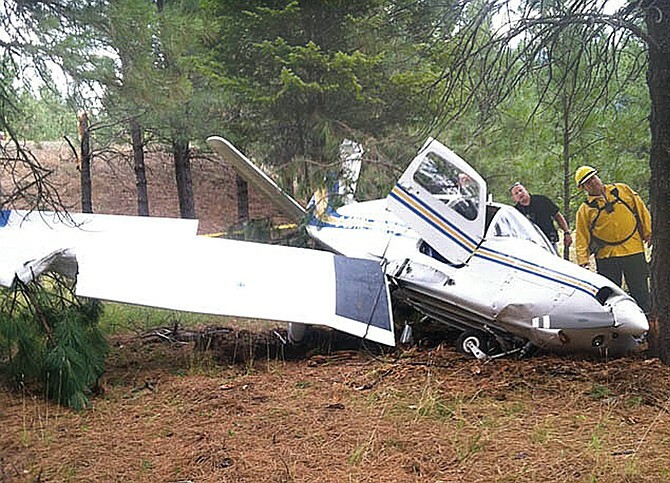 This missing plane was not connected to the plane crash Sunday near Mazama. Autumn Veatch, 16, survived the crash and walked out of the woods on her own to find help. Her grandparents, Leland and Sharon Bowman, did not survive. SEATTLE - Searchers on Wednesday found the wreckage of a second private plane that crashed in roughly the same area and within a few hours of the Lynden-bound plane that crashed Saturday in the North Cascades, killing the step-grandparents of a 16-year-old girl who survived. The second plane was bound for Orcas Island, Wash., from International Falls., Minn., with a man and woman aboard when it vanished from radar Saturday in the same kind of weather conditions as the Lynden-bound plane. State Department of Transportation spokeswoman Barbara LaBoe said the family did not notify officials of the second overdue plane until Tuesday night. The family said the missing man and woman were headed to Orcas Island on vacation. Civil Air Patrol spokeswoman Jessica Jerwa told KOMO News that crews determined that the Orcas Island-bound plane had vanished a few hours before the Lynden-bound plane. 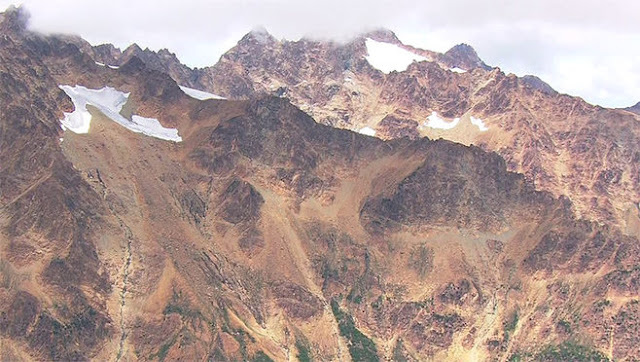 Using reliable radar data, they were able to pinpoint a five-square-mile area in the North Cascades where the plane was thought to have crashed. A few hours later, search planes spotted the wreckage of the plane about 20 miles north of the site where the wreckage of the Lynden-bound plane was found. Whatcom Sheriff Bill Elfo said the wreckage is scattered across a large debris field at Twin Sister Mountain, about 10 miles east of Acme. He said it appears the plane flew right into the side of the mountain. Ground crews have not yet reached the site. The names of the couple aboard the Minnesota plane have not been released. The Lynden-bound plane crashed Saturday afternoon on a rugged, heavily wooded mountainside in the North Cascades while enroute from Kalispell, Mont. Aboard that plane were Leland and Sharon Bowman of Marion, Montana, and their step-granddaughter, Autumn Veatch, 16, of Bellingham. The Bowmans were killed in the crash, but Veatch survived and managed to hike through the rugged terrain out of the mountains to a remote highway, where she was spotted by a motorist and taken to the nearest town. She was treated at a local hospital and arrived back home Tuesday night. WHATCOM COUNTY, Wash. — A plane flying to Orcas Island with a Minnesota couple on board was reported as missing in Whatcom County. A plane has been found crashed 10 miles east of Acme, according to the Whatcom County Sheriff's Office. 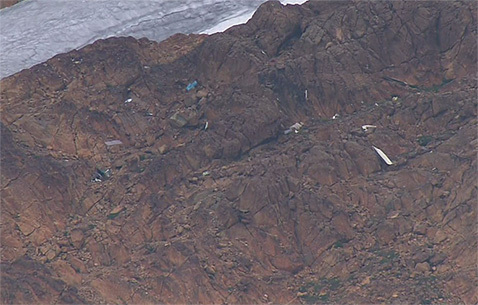 The plane crashed on a hillside, and crews are having difficulty accessing it in the rugged wildnerness. Crews are assessing how to reach it. It is suspected that the plane found crashed is the missing plane, but it has not been officially confirmed. 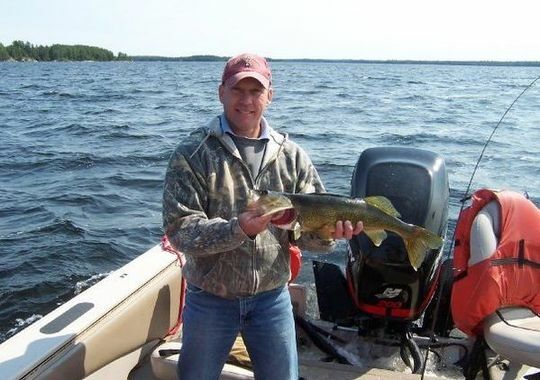 According to a friend who lives in Lake Kabetogama, the missing pilot is Bob Nevalainen. Nevalainen and his wife Gayle own a single-engine Piper plane. He said Bob is retired and that Gayle works at the general store in the small town. Both are volunteer firefighters. The friend told KIRO 7 the couple, in their late 50s or early 60s, left last week for a 6 to 8 week trip to Alaska. The plane left from International Falls, MN. Washington State Department of Transportation spokeswoman Barbara LaBoe said the plane was traveling to Orcas Island and was expected to land on Saturday. WSDOT said the small plane was not required to file a flight plan and it is not known what time it was expected to land. LaBoe said WSDOT was notified by the family that the plane was missing late Tuesday. WSDOT Aviation Emergency Services has launched a search. The Civil Air Patrol says the search area where the plane was last seen on radar is 5 miles by 5 miles and is within 20 miles of where another plane crashed on Saturday in which a teenage girl from Bellingham survived. A picture tweeted by a police helicopter team showing comedian Michael McIntyre standing in a London street is being investigated by the Information Commissioner's Office for a possible breach of data protection laws. Michael McIntyre was snapped using a surveillance camera outside the Global Radio offices in Leicester Square at around 8am this morning. The photo, posted on the National Police Air Service's (NPAS) London twitter account (@NPASLondon), was captioned: "Whilst on tasking in central London this morning we spotted a certain energetic funny man ... Can you guess who?" An Information Commissioner's Office spokesman said: "Police forces like all other organisations must comply with the Data Protection Act. "The police especially must ensure that they have legitimate grounds for processing personal data and disclosing images of this nature without a justifiable policing purpose could potentially breach the Data Protection Act. "We will follow this up with the force concerned." Surveillance Camera Commissioner Tony Porter said he believed the post was a breach of the Surveillance Camera Code of Practice, the 12-point code established in June 2013 to ensure the surveillance system was used for legitimate purposes. Mr Porter has contacted the Metropolitan Police, which has overall responsibility for NPAS in London, to discuss the matter. He said: "Under the code, images should only be used for their stated purpose - which for the police is to tackle crime and anti-social behaviour. "Access to data that is captured by surveillance should be restricted - disclosure should only take place when it is necessary for law enforcement purposes. "Public disclosure of anyone's image for the purposes of fun is a clear breach of that." Mr Porter added that he would be seeking assurances from police forces that officers were made aware of the code to ensure the incident was not repeated. Rachel Robinson, policy officer of Human Rights organisation Liberty, criticised the tweet, saying: "NPAS is getting a reputation for irresponsible tweeting and, with public concern around the misuse of state surveillance growing, this latest example suggests a blase attitude to our privacy. "This doesn't bode well for those of us concerned about police use of new surveillance technology such as drones. How confident can we really be that our privacy is being taken seriously?" The image also provoked anger on social media. Robin Wilton, using the Twitter handle @futureidentity, tweeted: "Did you seek the individual's consent? Or is this an abuse of your considerable surveillance powers?" Another, Edward Davie (@EdDavie), said: "You do a great job but this is dodgy. Do you have permission to post pics of these people from a spy cam on Twitter?" Helicopter surveillance is overseen by the National Police Air Service , with regional bases across the country. Each aircraft carries a variety of hand-held digital cameras, capable of taking high-resolution images to be used for evidential purposes or to assist officers in planning and executing operations. They are also capable of streaming live footage to command bases. Police also regularly fly planes, fitted with surveillance equipment capable of intercepting phone calls and listening in on conversations, over London, according to reports. Earlier today, the ground operations director for the NPAS, Superintendent Richard Watson, said: "We are aware of the tweet and, as far as we are aware, it does not breach any data protection legislation. We feel however it was inappropriate and it has since been removed. "We will be speaking to the person who posted the tweet." A spokesman for McIntyre said there would be no comment from the star. The comedian is due to perform a gig at the Ipswich Regent tonight as a warm-up to his Happy And Glorious UK and Ireland tour. VERO BEACH, Fla. - When Tom Lamkin looked for a spot three years ago to open his deli and convenience store in Vero Beach, he saw opportunity near the airport. There was Piper Aircraft; a mainstay in the county for decades. But Wednesday the company announced layoffs were coming. “We knew it was coming, we had heard things had been a bit slow over there,” Lamkin said. Piper employees who stopped in the deli would not talk on the record but say they were notified yesterday of what was to come. Piper Aircraft announced that 15 to 20% of the current workforce will need to be downsized. The company has more than 750 employees. It means up to 150 people could get pink slips. Carlon says the company was caught a bit off guard by the sluggish sales, after recent years of steady recovery. She’s optimistic with a new plane awaiting certification, sales will take flight again. Nearby businesses are hoping that optimism is realized. “You know hopefully they can turn it around and get things going because Piper is a big part of the city here,” Lamkin said. The factory production schedule will be adjusted for the remainder of this year as well as next year. Piper is the fourth largest employer in Indian River County and the largest private employer of full time employees. A mass layoff announced today by Piper Aircraft Inc. of Vero Beach will impact more than 100 workers and possibly as many as 150. The airplane manufacturer is reducing its workforce by at least 15 percent and may cut its staff by as much as 20 percent. Piper currently employs roughly 750 people, and it sells single- and twin-engine aircraft to both American and international customers. The company's layoff announcement follows two consecutive quarters of declines in the company's revenue, sales, and deliveries. Simon Caldecott, the company's president and CEO, issued a formal statement, saying, "Piper Aircraft has experienced steady recovery since 2009, however, we are facing challenges and economic instability in several key regions of the world, including Asia, parts of Europe, and Latin America. The team at Piper is committed to the business and as such must make the agonizing decision to adjust accordingly." In Piper's press release about the layoffs, the company said it was preparing a staff reduction schedule and would inform laidoff employees of their status as soon as possible. The company also indicated that it would be working with the Florida state unemployment office and local job placement organizations to ensure that its displaced workers receive assistance. 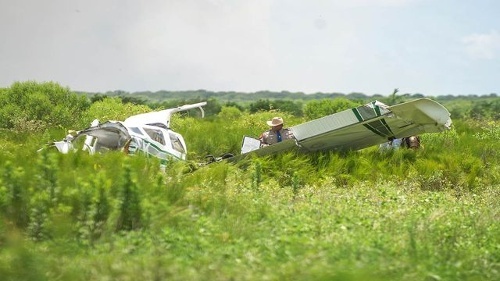 On July 14, 2015, about 1004 central daylight time, a Piper PA-32-300 airplane, N555PK, impacted terrain near Brazoria, Texas. Day visual meteorological conditions (VMC) prevailed at the time of the accident. The flight instructor and student pilot were fatally injured, and the airplane was destroyed. The flight was being operated as a 14 Code of Federal Regulations Part 91 instructional flight, and no flight plan had been filed. Day visual meteorological conditions existed near the accident site about the time of the accident. The local flight originated from Pearland Regional Airport (LVJ), Pearland, Texas, about 0910. Witnesses reported that the flight instructor and student pilot arrived at the airport about 0800. A fuel receipt from the LVJ fixed-base operator showed that the student pilot purchased 59.7 gallons of 100 low lead aviation gasoline that morning. Witnesses also reported seeing the flight instructor and student getting a weather briefing. Airport security cameras captured them walking towards the airplane at 0847, and the airplane taxiing north towards the active runway at 0902. A review of radar data from the Houston Air Route Traffic Control Center showed that the airplane first appeared on radar about 0915 near LVJ. At 1001:48, radar data showed the airplane flying on a southwesterly heading at 2,300 ft. It then entered a gradual descent, which continued until 1003:45, at which point the airplane had descended to 1,900 ft. At 1004:09, the airplane entered a left descending turn from 1,300 ft. At 1004:21, the airplane was at 1,100 ft. The last radar target was recorded at 1004:33 when the airplane was at 600 ft. By this time, the airplane had turned about 270°. There were no known witnesses to the accident. A motorist driving on a remote road in the San Bernard Wildlife Refuge saw the wreckage and called 9-1-1 about 1130. The flight instructor held an airline transport pilot certificate with airplane single-engine and multiengine land ratings, a Beech 300 type rating, and commercial privileges with a rotorcraft-helicopter rating. He held a flight instructor certificate with airplane single-engine, multiengine, and instrument ratings. He also held an experimental aircraft repairman certificate. His second-class medical certificate, dated March 6, 2015, contained the restriction: "Must wear corrective lenses." When the instructor filed his application for this medical certificate, he estimated that his total flight time was 4,658 hours, 113 hours of which were accrued in the previous 6 months. The student pilot held a student pilot certificate and a third-class medical certificate, dated December 8, 2014, with the following limitations: "Must have available glasses for near vision. Not valid for any class after December 31, 2014." The student pilot's logbook contained entries from August 7, 2013, through April 21, 2015. According to the logbook, he had only flown with instructor once for 2 hours.. 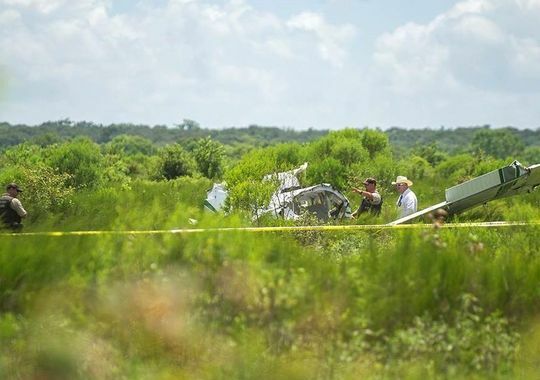 The logbook indicated that the student pilot had 94.9 hours of total time in single-engine airplanes, 2.2 hours of which were as pilot-in-command (solo). He had received 92.7 hours of dual instruction, and 2.6 hours of simulated instrument training. The fixed-landing gear airplane, serial number 32-7940100, was manufactured in 1979. It was powered by a Lycoming IO-540-K1G5 engine, rated at 300 horsepower at 2700 rpm. It was equipped with a Hartzell three-bladed, all-metal, constant-speed propeller (serial number B4981U). The closest official weather reporting station was at Texas Gulf Coast Regional Airport (LBX), Angleton/Lake Jackson, Texas, located 14 miles north-northeast of the accident location. 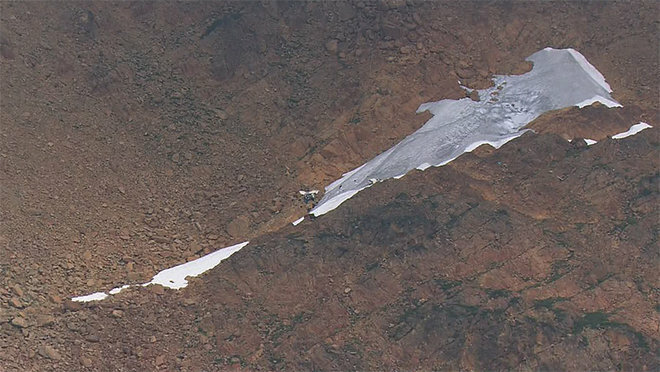 At 0953, the LBX Automated Surface Observation System reported wind from 190° at 12 knots, visibility, 10 miles, few clouds at 2,800 feet, temperature 31° C., dew point, 22° C., and altimeter setting of 29.94 inches of mercury. The accident site revealed evidence of a tree strike. The fuselage was aligned on a magnetic heading of 225°. There was a significant fuel spill at the scene, but there was no post-impact fire. 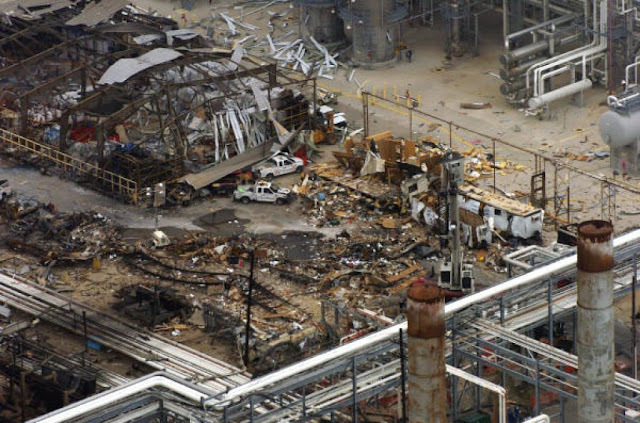 A sample of the fuel was examined, and no evidence of fuel contamination was found. The wreckage was fragmented along the ground for about 110 feet and the outer portion of the left wing was completely separated near the initial impact scar. The forward cabin roof, from the instrument panel aft to the forward side window, was sheared and bent upwards about 90°. The windshield and all the windows were destroyed. The forward cabin door remained attached to its hinges and was lying across the left wing. The aft cabin and cargo door remained attached to the fuselage. The forward baggage compartment door was destroyed. The emergency locator transmitter switch was in the "off" position. The engine compartment and forward cockpit area were impact damaged and partially separated from the main cabin area and the fuselage, which was in a nose-down position. The engine remained attached to the firewall, and the propeller remained attached to the engine. The nose landing gear had separated from the firewall. The firewall was crushed against the instrument panel which was crushed upwards. All instrumentation and circuit breakers were destroyed. Both control shafts, control wheels, and rudder pedals were destroyed. Flight control continuity was partially established. The engine power controls were in the "full forward" position. The flap control was in the "up" position. The fuel selector was positioned to the right main tank. The electric (auxiliary) fuel boost pump switch was on. The vertical stabilizer remained attached to the empennage but was impact damaged, consistent with a tree strike. The rudder remained attached to the vertical stabilizer. The left wing was separated from the fuselage, but the right wing remained attached. All three propeller blades were bent aft about 40°, consistent with low rotation at impact. The spinner was crushed around the propeller hub. Partial disassembly of the engine revealed no discrepancies or anomalies that would have precluded power from being developed. The 57-year-old male CFI had reported hay fever, high blood pressure, LASIK eye surgery, and a history of a kidney stone to the FAA. His reported medications included losartan and amlodipine, both blood pressure medications that are not considered impairing. 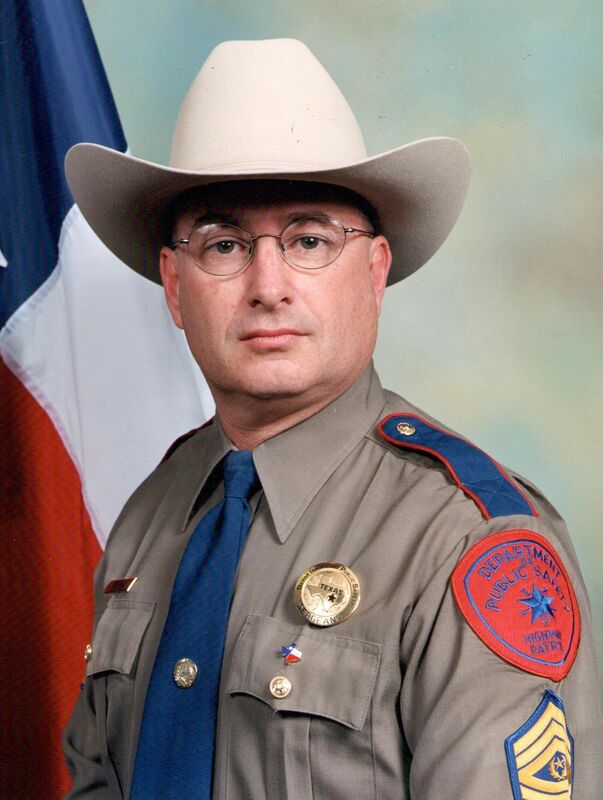 According to the autopsy performed by the County of Galveston Medical Examiner's Office, the cause of death was blunt force injuries and the manner of death was accident. Toxicology testing performed by the FAA's Bioaeronautical Sciences Research Laboratory identified amlodipine, losartan, doxylamine (0.116 ug/ml), and phentermine (0.343 ug/ml) in cardiac blood. All of these and naproxen, desmethylsildenafil, and oxymetazoline were found in urine. Amlodipine, losartan, naproxen, desmethylsildenafil, and oxymetazoline are not considered impairing. Doxylamine is a potentially impairing antihistamine that is so sedating its primary use is as a sleep aid. Phentermine is an amphetamine-class drug that is considered potentially impairing and is medically indicated for the short-term treatment of obesity. The 63-year-old male student pilot had reported hypertension and type 2 diabetes to the FAA. He reported his medications as valsartan (a blood pressure medication not considered impairing), a combination of sitagliptin and metformin (marketed with the name Janumet) indicated for the treatment of type 2 diabetes, and simvastatin (a cholesterol lowering medication not considered impairing). While Janumet is not considered directly impairing by itself, it may cause low blood sugar (hypoglycemia) which is impairing. 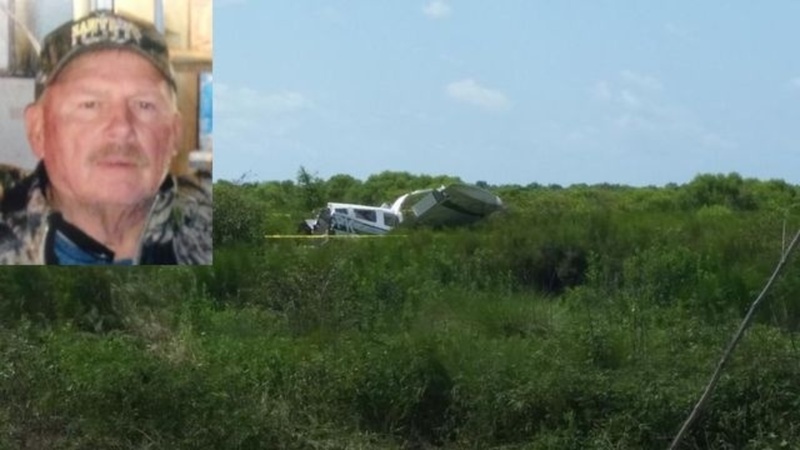 According to the autopsy performed by the County of Galveston Medical Examiner's Office, the cause of death was blunt force injuries and the manner of death was accident. Toxicology testing performed by the FAA's Bioaeronautical Sciences Research Laboratory identified sitagliptin, valsartan, and vardenafil in blood and urine. Vardenafil is an oral medication used to treat erectile dysfunction, which carries a warning about the potential for temporary changes in color vision but no warnings about performance impairment following use. 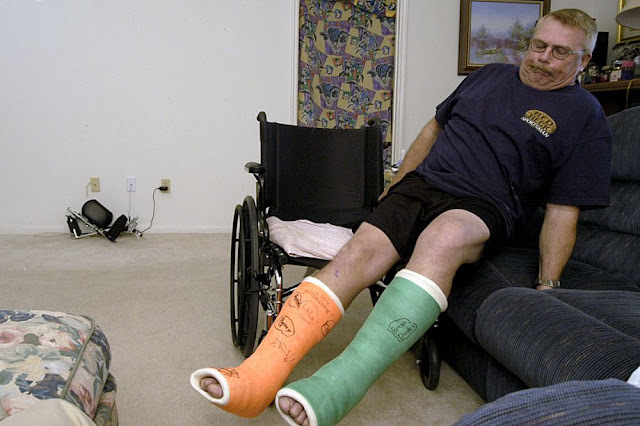 David Leining was standing in the path of the 2005 blast but survived. David Leining, shown in 2005, suffered two broken ankles in the BP explosion that killed 15 co-workers in Texas City. Leining and another man were killed in a plane crash on July 14, 2015. 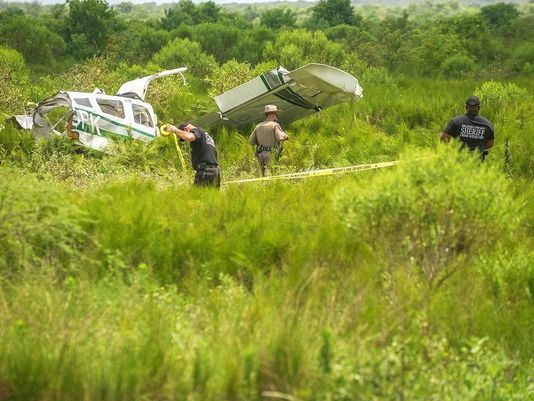 On July 14, 2015, about 1004 central daylight time, a Piper PA-32-300 single-engine airplane, N555PK, impacted terrain near Brazoria, Texas. The flight instructor and the student pilot were killed, and the airplane was substantially damaged. The airplane was registered to and operated by a private individual, as a 14 Code of Federal Regulations Part 91 instructional flight. Day visual meteorological conditions (VMC) prevailed and a flight plan had not been filed. The airplane departed Pearland Regional Airport (LVJ), Pearland, Texas, about 0910 and was destined to return to LVJ. No witnesses to the accident have yet been found. A motorist driving on a remote unpaved road in the national wildlife refuge saw the wreckage and called 9-1-1 emergency about 1130. Postaccident radar forensics show the airplane first appeared on radar about 0915 near LVJ and radar contact was lost at 1004. Evidence at the scene showed the airplane was moving to the northwest when it impacted terrain. The wreckage was fragmented along the ground for about 110 feet and the outer portion of the left wing was completely separated near the initial impact scar. The engine compartment and forward cockpit area were impact damaged and partially separated from the main cabin area and the fuselage, which came to rest in a nose down attitude. There was a significant fuel spill at the scene, but there was no postimpact fire. The remaining on-board fuel was examined and no evidence of fuel contamination was found. At the LVJ facility where the airplane had most recently been refueled, refueling unit records and a review of security camera video showed that the airplane had been refueled with aviation gasoline and postaccident fuel quality checks of that fuel facility were satisfactory. The wreckage was moved to a different location and will be further examined. A handheld GPS device and several avionics components containing non-volatile memory (NVM), including engine performance data, were removed from the wreckage for examination and an extraction of useful data is possible. The closest official weather reporting station was at Texas Gulf Coast Regional Airport (KLBX), Angleton/Lake Jackson, Texas, located 14 miles north-northeast from the accident location. At 0953 the Automated Surface Observation System at KLBX reported wind from 190 degrees at 12 knots, visibility 10 miles, sky clear of clouds, temperature 31 degrees Celsius (C), dew point 22 degrees C, and an altimeter setting of 29.94 inches of Mercury.